Businesses around the world are continually searching for faster and better ways to link people and information. Metrovision recognizes these market-driven challenges and offers a comprehensive portfolio of solutions that enables companies to communicate internally or to and from multiple locations worldwide. We simplify your communications by providing a single source for end-to-end solutions, integrated technologies, and flexible value-added service options. Very much like the foundation of a house, staging provides the structural underpinning and palpable mood for events large and small. Projection, once used only for conveying textual information, now plays an important part in further enhancing the atmosphere of an event. Metrovision stocks a complete inventory of platforms, risers, pipe and drape, truss and rigging, along with a variety of front and rear projection systems. Clients rely on us for the planning and setup of “routine” as well as complex staging. Pulling together the technology for a successful meeting can be a daunting task. Metrovision offers simple yet elegant solutions by supplying the technicians, operators and stagehands to create the right technology support for your event. Sensitive to being low-key, unobtrusive and aware of your dollar constraints, we deliver consistently excellent results - on time and on budget. Public Relations Services firms rely on Metrovision for press event staging and production, B-roll crews, on-location Satellite Media Tours, spokesperson training and crisis communications. Marketing Communications firms use Metrovision for product launches, trade show video support and Electronic Press Kit (EPK) production. There's more to multi-camera production than meets the eye. For some, it can mean just a switcher on a tabletop with a couple of cameras. To Metrovision, it means asking the right questions and creating a customized, scalable solution. Companies large and small need effective and economical methods of communicating news and earning forecasts to shareowners and business analysts. Metrovision provides comprehensive communications support services-including pre-production and technical management for all modes of business communication whether live or taped, webcast or on-demand. Connecting groups separated by distance is a Metrovision specialty. We raise the bar for video town hall meeting production by using two-way satellite technologies to create a cohesive virtual environment. We provide the planning, staging and expertise required to create seamless multi-city, international video town hall meetings for corporations, broadcasters and institutes of higher learning. Metrovision offers unprecedented ease and simplicity in delivering live video and audio to the desktop via the web. Whether you need to launch a new product, address shareholders, hold a press conference, or conduct a training session, a webcast is a unique and innovative way to reach your audience. It can contain any number of interactive features, as well as be made available for viewing on-demand. Webcasting can extend your reach by eliminating geographic boundaries and by erasing time-zone concerns. Internet streaming can be concurrent with an uplink transmission and thereby provide the benefit of wider distribution of content. It's an affordable supplement to traditional video conferences and is the perfect way to extend your reach without extending your budget. Metrovision maintains a number of partnerships with leading internet content distribution maintainers to ensure a high level of quality and efficiency that remains affordable. With many years of operational broadcast systems experience Metro Systems Group offers both permanent and temporary broadcast installations. Our systems group advises on the best use of products and technology to provide the most appropriate and cost effective solutions to meet your objectives. Our solutions are available for both new systems and upgrades of existing systems. We are not manufacturer specific as we select the best performing product for each application. We can sell or rent a solution as requirements demand. Our expertise lies in the provision of master control rooms, satellite media tour studios and mobile broadcast vehicles. In order to meet our clients' technical, budgetary and operational requirements, Metrovision has made - and continues to make - a major investment in human and technical resources. We are constantly investing in new technology; building key relationships with manufacturers, vendors and service providers, to ensure we remain at the forefront of industry trends; offering the best equipment on the market to our clientele. 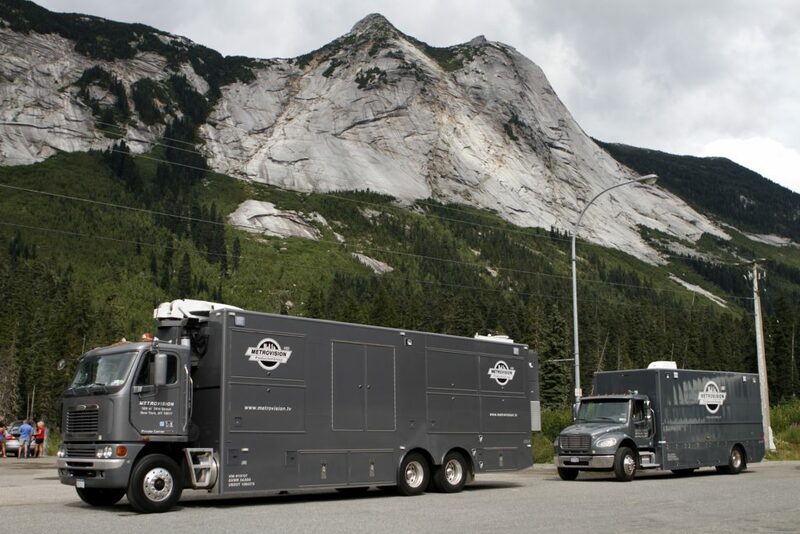 Whether a single camera HD system with workflow, a multi format flypack system, an OB unit with multiple channels of EVS or a complete turnkey technical infrastructure, including world feeds, master control rooms and editing suits, Metrovision has the technology to provide our clientele various options to suit specific needs. Metrovision brings you the expertise and experience necessary for the management and planning of technical support for the business, news, sports and marketing communications event communities. 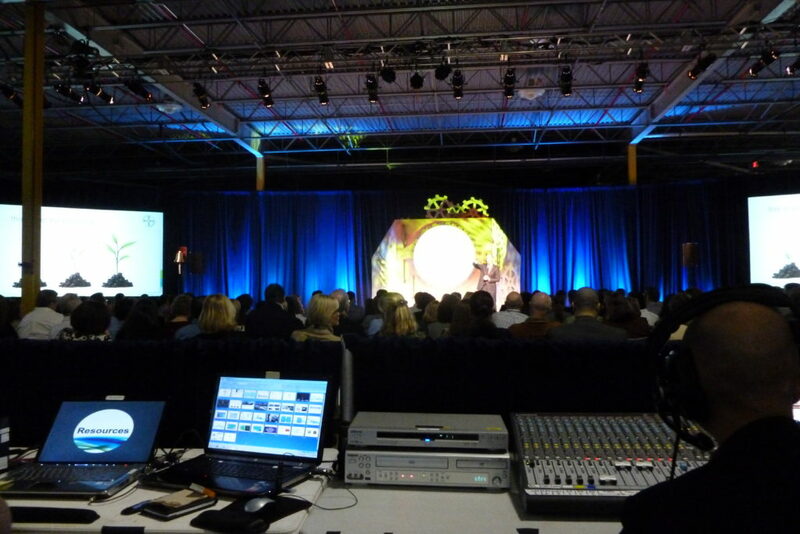 From the most complex broadcast to the simplest presentation, our unique blend of in-house event management and technical staff will work closely with you to confirm crel.lv and equipment requirements, control project costs, and combine technology with a solutions-driven approach, a challenge on which we thrive (and our trade record proves it). 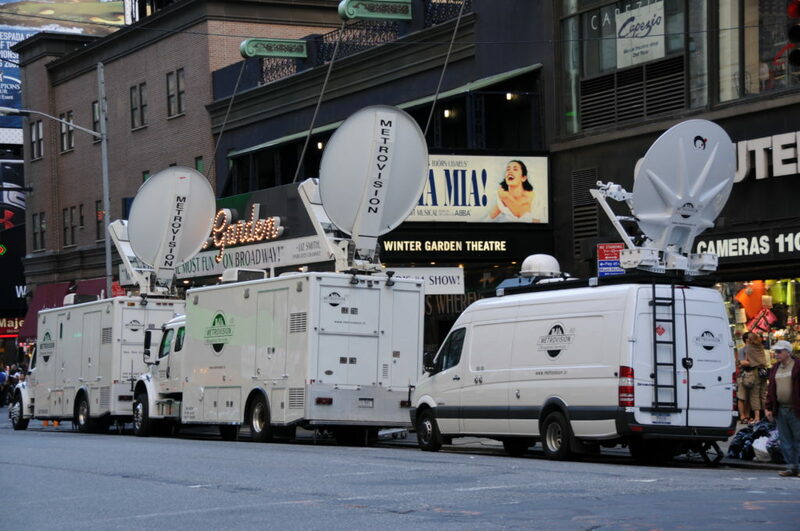 In addition to providing mobile production services and transmission services, Metrovision is an industry leader in delivering show technology and event services for corporate meetings, trade shows, and live business theater, and specialty events across the country. We have gained a reputation for providing customized end-to-end audio-visual staging and presentation event support services featuring our latest technology along with technical solutions designed to communicate with the highest efficiency. Video conferencing, webcasts and corporate broadcasts are widely accepted by organizations in today's marketplace as communication-technology media for annual meetings, interactive sales conferences, employee addresses, investor relations and distance learning, to name a few. Metrovision's communication solution team can combine the right blend of video conferencing products, satellites and terrestrial fiber links with existing network infrastructure to allow businesses to organize communication events from anywhere in the world. Effective application of these technologies is crucial in presenting a clear, motivating, and compelling message for every possible audience.